You may now order key fobs on their own or as a matching set for your collar order for some materials on the site. 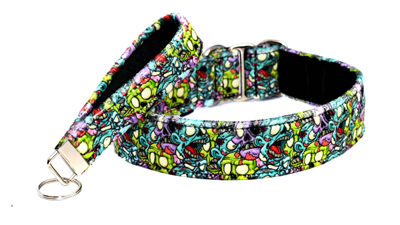 They can be lined with a vinyl strip, minky or satin strip and I will choose the best matching color or match them to the collar that is ordered. They are available in silver and brass. You may choose any material from the sections below if you are not ordering as a set with a collar. Click on the link to search for a fabric and then copy the product ID and enter that in the field below. Super Bling, Crypton are NOT available for the key fobs. 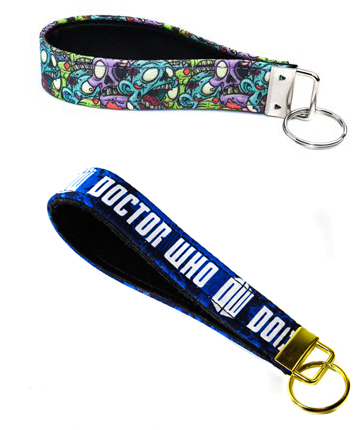 Key Fobs ordered without collars will ship within a week.